This is the first from a series of ebooks for newbies published by me about various areas of internet marketing and social networking. “Business Tweets for Newbies” can be read on PC, MAC, Iphone, Ipod Touch, Kindle and Ipad. Business Tweets for Newbies is the essential guide and a must read if you intend to promote you and your business through Twitter. It will teach you how to use Twitter to create a network of followers, enhance the branding of your business and advertise successfully. The chapters of this ebook answer to these questions: How to build a quality list of Twitter followers? The best tools to help you get the most from Twitter? How to turn the Twitter Followers into customers? How to maximize your Twitter traffic? Which are the common mistakes you will have to avoid? Also in the ebook are presented the resources which will help you get the most from your business promotion through Twitter. 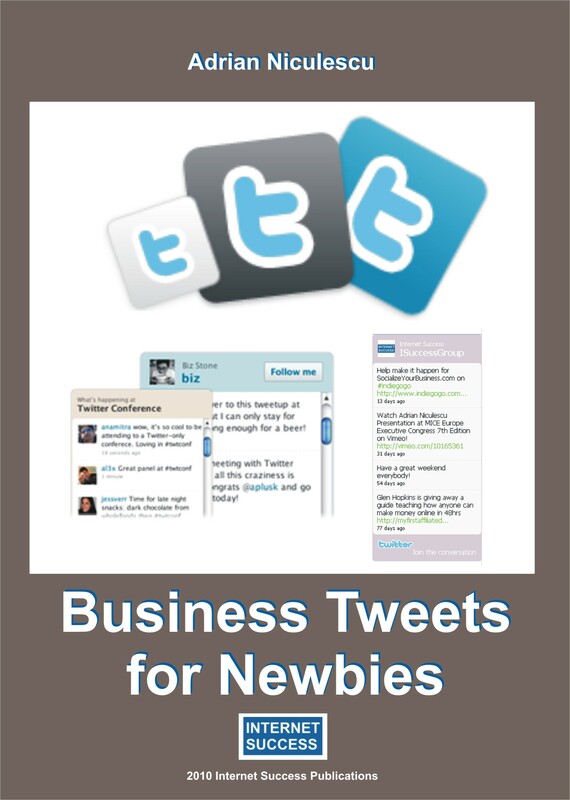 “Business Tweets for Newbies” can be downloaded here.